The grand editrix emeritus removes her shades for NO MAN!! 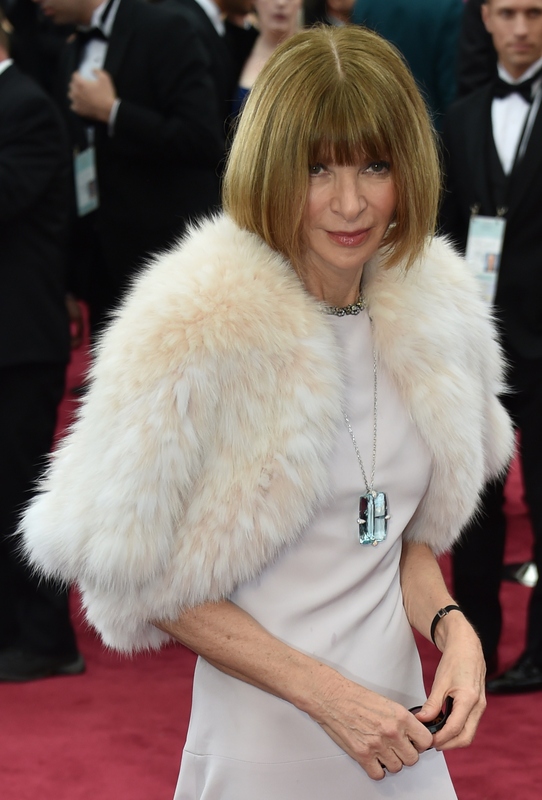 If you're watching the Academy Awards at this very moment, you may have noticed that Anna Wintour is wearing her freakin' sunglasses at the Oscars. I mean, c'mon Wintour! Can't you just be chill for once in your life? You're not Sia. Show us your face. Spotting Wintour is always a good time, but my favorite instance of playing Where's Wintour just happened about twenty minutes ago. When the president of the Academy of Motion Picture Arts and Sciences was giving her schpiel, the camera panned to Harvey Weinstein. Next to him was a sunglass-clad Wintour (because of course they're friends) looking totally stone-faced and ready to get outta dodge. Even under the cloak of polarized lenses, we can read that unreadable expression — homegirl is ready to get obliterated on the open bar at the Vanity Fair party. Even if she managed to go without her sunglasses on the red carpet (she was THIS close to making it a full night without putting them on!! ), I'm not surprised that she happened to cave in and put her sunglasses. I mean, it is her brand and all. And after all, if you're not a brand, you're not a legitimate person. Being a brand/person aside, it truly is an absurd thing that Wintour isn't showing us her eyes tonight. I mean, I know she wears them inside ALL THE TIME, but keeping them on at such an event is like refusing to take off your coat when going over to a someone's house. I mean, RUDE, Anna! !